They may seem like hindsight, or a little problem you can brush aside, yet don’t be fooled by the potency of broken links. A single dead link can mislead and frustrate customers, show that you’ve been out-of-touch and sloppy with your website maintenance, and it can even potentially push you down in search engine ranks. This isn’t just a small issue – according to Entrepreneur.com, “link rot” has been described as an actual web epidemic. Remember – no matter how hard it is to get a website running perfectly, that sort of smooth experience is what web users expect as normal. Anything hindering that sort of experience – even a sensible issue like a broken link – can carry dire consequence for you and your company. Xenu’s Link Sleuth – A Windows-only tool, Xenu’s Link Sleuth provides a wide array of uses from finding duplicate content to checking page depth, but our main interest in it is its comprehensive ability to scan for and find all broken links. Google Webmaster Tools–A straight-from-the-source kind of tool, Google Webmasters Tools gives you an overview of what Google thinks of your website, and where you should improve it – specifically in crawl errors, which are broken links that force crawlers to move onto another domain. Screaming Frog–For Windows and Mac, Screaming Frog crawls websites and finds out more than Xenu’s Link Sleuth, at a premium price. Link Checker–A little less user-friendly than the other options, but more powerful under-the-hood – perfect for users who want a more comprehensive look at their links while running a command line interface. W3C Link Checker–A simple link-checking tool, W3C’s Link Checker can be downloaded or run from a browser. As per Computer Hope, a broken link is a link that points to a page that no longer exists. In most cases, websites present viewers of a broken link with a 404 error code, presented within a custom page of some kind. Usually, the most common reason is moving a webpage without modifying all the links leading to it, thus having older links within your web content that prompts users to find your error 404 message instead of your updated page. Aside from user frustration or complaints, a broken link can actually damage your SEO. Although search engines like Google have explicitly stated that a few broken links won’t hurt you, according to SiteImprove.com, what they can do is force search engine algorithms to stop short and move onto the next site. That’s right. Search engine optimization is all about creating a website that makes it easy for search engine crawlers to index and rank it. If a crawler encounters a broken link, it ignores the rest of the page – which is detrimental to you and your ranking. You’ll need the help of an affordable website SEO company like SeoTuners to take control of the situation if your site’s broken links are particularly troublesome. How To View AdWords Data In Google Analytics? This entry was posted in Advertising, Marketing, PPC on by Seo Tuners. Google is incredibly powerful. Its search engine is used about 40,000 times a second nowadays according to Internet Live Stats, and Google hit 1.2 trillion searches a year in 2012. However, of those 40,000 searches made in the course of you reading that number in your head, 85 percent are searches people have already made, says CNet. And many of them are searches you can make a profit from. That’s the key point behind Google AdWords – you choose a business-relevant keyword, incorporate it into your content, and pay Google to be listed as a seller or service provider in your specific niche. Having an understanding of all the key metrics in what makes up your website – and more importantly, what makes up your web traffic and the people who are most likely viewing your content – is the key to creating a profitable website and maintaining a strong web presence. It’s not enough to simply create a great website – if you want to make money, you need to fine tune your ads and content to your audience. And that requires the right data. According to the search engine company, this is meant to help you separate your organic traffic from the traffic you’ve been getting through AdWords, so you can boost the effectiveness of your PPC campaign and identify how effective your organic SEO has been, while receiving other AdWords data in your Analytics reports. Why Join AdWords and Google Analytics? It’s also useful for helping you identify how to better structure your website to make your AdWords campaign much more effective. For example, Google Analytics can show you when a customer is confused or stuck on a specific part of your page, and combining the two can help you address and solve problems that you might not have known about. Remember, the most dangerous customer isn’t the one that comes to you with complaints – because that’s the customer you can address and help win over. The most dangerous customer is the kind that leaves without a word after encountering a problem – and it’s likely that many more are simply leaving rather than asking you for help. Pre-empt the problem by finding it quickly. To begin, you’ll need both an AdWords account, and an Analytics account for the website you’re advertising. Then, you need the right permissions. As a Google Analytics user, make sure you have Edit permissions for your website. As an AdWords user, make sure you have administrative access over your account. Next, sign into Analytics and select AdWords Linking under your Admin options, under Property.View the Google AdWords tab, and check the box next to the account you would like to link. Click Select All and Link Accounts to make sure you’re linking the right view. With AdWords access in your Google Analytics, you’ll be able to tell what’s what when it comes to whether traffic is paid or organic. This way, you can tell how an SEO provider like SeoTuners is helping your traffic through affordable SEO services, and what kind of impact your PPC campaign is having. Content marketing is many, many things. It’s thousands and thousands of words – millions, even, piled onto hundreds of blogs and websites all vying for the Internet’s most precious commodity: the attention of actionable customers. If that’s what you’re after – and it’s what you should be after – then content marketing is something you’ve probably invested a lot of time, effort and money into. But the question is, is it working for you? And if not, then why? Getting content marketing right is hard to do. While the data and metrics are there for you to see when you’re being successful, it’s harder to tell what the actual difference is between being successful and mediocre with content marketing. Is it the quality of the content? The frequency? The design? The timing? The subjects at hand? Is it the momentary psychology of the public? As Mark Schaefer argues, there’s too much content – he says, there’s so much that content marketing itself isn’t a sustainable model for marketing. But that isn’t necessarily true. Content just needs to be looked at in a new light. When it comes to content marketing, what you want is continuity, not interest. You want a voice, not sound bites. You want subscribers and a readership, not potential customers who fall into the model of the sales funnel. After all, according to Digital Tonto, the sales funnel has been made largely irrelevant. Instead, there’s an interest in creating a sales continuum – that is, building content that doesn’t just market a product, but that promotes loyalty in a certain brand and idea. You need a business identity, and a business mission. Whatever you’re selling, it needs to help people somehow – and your content needs to be a constant informative voice that dedicates itself to propagating that mission and promoting consumer advocacy – getting people involved with what you’re trying to accomplish, and proving that your brand does make a difference. As Forbes states: brands need to think like publishers. If you’re a marketing company, then perhaps your mission is to inform small businesses of the new paradigm shift in marketing, getting them on-board to building a loyal customer base, and advocating customer care-centered marketing campaigns. The key behind content today is that it shouldn’t just create awareness and build leads. To lead to sales, you want content that entertains people and attaches them to your brand. As a good SEO company in Los Angeles and Ventura like SeoTuners would tell you, content and engagement aren’t linear anymore – it’s about keeping the conversation going. These days, it’s not enough to have a site. Ten, even fifteen years ago, it would’ve been easy for you to attract online consumers and to generate a strong online engagement. Sites were few and far between. There was little competition around so being number on the search engine rankings took little to zero effort. Forgetting that keyword frequency matters, says Forbes. Yes, you can optimize your pages using keywords. However, make sure you understand how important it is not to overstuff your content with keywords. This is especially true if you tend to use keywords in sentences that sound off or unnatural. You aren’t just risking your rankings—Google’s Panda algorithm penalizes content with abnormal keyword use—you’re also putting off potential consumers. Focusing too much on SEO, says Business2Community. If you’re putting all your energies into using keywords then, you could be losing sight of what consumers want. This could result into stilted use of keywords. If the keywords don’t flow naturally into the content, that could make your consumers turn away before you even have a chance to show them what your product/service is all about. So don’t waste your chance. Make sure you focus on both search and social to make sure your reader stays. Not thinking about your customers. The best content won’t matter a bit if it’s not relevant to your consumers. So make sure you know what your consumers want. Post content that resonates with them. If there’s too much You in the content, if it’s content you want instead of content your customers want, then it likely won’t connect to their experience. If you don’t have a clue how to make this happen, ask for professional help. With the services of an affordable SEO company, you’ll figure this out in no time. Putting up bad content. Using spun articles can be an easy way to generate content for your site. However, it’s a very bad idea and one that could get your pages penalized. With Google cracking down on duplicate content, it’s best to keep your content fresh instead of recycling old ones. Compromising on content for looks. Flash slows down your loading speed considerably. And yet, a lot of sites still use flash. That just goes to show that not everyone is aware of how that can affect consumer engagement. Instead of flash, look for better ways to deliver a wonderful user experience. Be careful about using too many images or graphics in your pages, Hongkiat warns. That could make your site too crowded or busy, forcing your customers to go elsewhere. So remember this list. Make sure you don’t end up making any of these mistakes or you could lose your target market’s interest before you even have a chance to prove your mettle. Why It’s Important to Increase Your Organic Presence? People often find businesses and services online, and it’s a priority for most businesses to make sure that whenever their niche, product or industry is looked up, they’re right up there in the results. But the road to getting there isn’t very straightforward. If you’re a business owner and you’re telling yourself: “I don’t know how to increase my organic rankings,” you’re not alone. As any online advertising company will tell you, organic is the way to go when you have to choose between organic ranking and paid rankings,. However, it’s a slow climb that will requires a lot of work. This first point might seem to be refuting the importance of organic marketing. However, this is not the case at all. Paid ads are easily found on Google when a visitor is looking up for most products and services. For instance, key in something as common as “forex brokers,” and you might find several Forex brokers vying for the top spot above the search results. Put in something like “blue shoes for men,” however, and you’ll discover no ads. The key thing to remember is that the more competitive the industry, the more ads you’ll find online. While appearing at the top, the aforementioned Forex offerings are also highlighted as ads. While they take up a fair share of space on the top of the page, there’s another trend that has been following this increase of paid ad space on search engines. In the past, the gist of search engine marketing was this: get as many keyword mentions and as much traffic on your page as possible, and you’re good. Today, it’s a bit more complicated, and involves reputation, content quality, the authority your page has, and so on. However, paid search engine marketing tries to bypass this, to a certain degree. Why You Shouldn’t Rely on PPC Only? Customers have begun ignoring ads. Trust is one of the key factors in online consumerism. As more and more businesses shift online and cater to the whims of their customers, customers are beginning to realize how much power their opinions and their money has on an industry. As such, they choose businesses that are proven in terms of quality and reputation, rather than those that bought their way up to Google’s top spot. That’s precisely why working with a website advertising company to push your organic ranking up is important. You want to be trustworthy if you want to be successful in business. Ads aren’t just reserved for general web searches. Utilizing the map functions of search engines such as Google reveals that you’ll first receive the paid listings in that area before finding the organic search results. However, ads are always limited to the first four spots. This means that the best place for you to be at is the fifth position on the page, if you’re in a very competitive business in the area. Customers won’t dismiss you due to the “ad” tag, and you’ll still be the first organic listing that shows up for your given search term. Most people don’t even scroll down through their search results any longer. It’s become far more common for people to key in a search term and then hit any one of the first five or so results. Although, the first page of Google features 20 results on most people’s screens, it’s much more convenient to only focus on the first few. As a good portion of the screen is often taken by paid ads, that already narrows the chances for businesses using organic advertising to get any attention at all. Even if customers ignore paid ads, most won’t bother to scroll much further than the top five unless the first results are inexplicably unrelated to the search term. Getting there, however, means scoring major website traffic. Now you may be wondering: “okay, but I don’t know how to increase my website traffic.” That’s where finding the right marketing and advertising company comes into play. In short, to be a viable competitor in the online marketplace, you’ll want to make sure you rank in the top five organic search results. 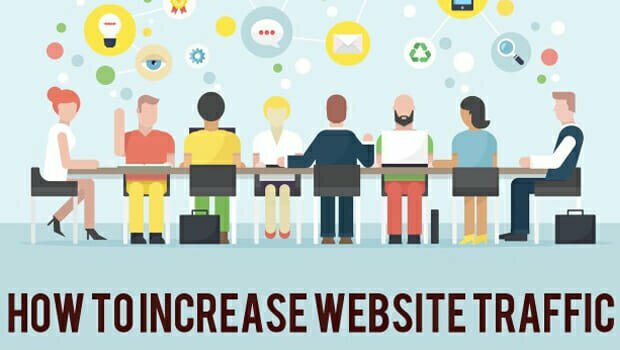 To get ranked, you need to get more website traffic, and the ability to increase website trafficis the specialty of an online website advertising company. Scaling your growth slowly, realistically and organically will be worth more in the long-term than doing so through paid and non-organic marketing techniques, and you can start by building your brand today. Excellent and effective SEO or search engine optimization is one of the many ways companies stay ahead of their competition. So if you don’t know the first thing about SEO, then it’s about time you did. Get a list of their old and current clients, Entrepreneur suggests. If they aren’t amenable to sharing their client list with you, that could mean a red flag. And if you do get the client list, then put it to good use. Don’t let it waste away in a dark drawer at your desk. Make the calls. Know how the company worked with past clients. Did they have a positive impact on the company’s conversion? Did it result in any significant consumer engagement? Keep away from companies that offer fast results, says Forbes. Organic search engine optimization takes time. It can’t be circumvented by black hat techniques. They might seem like a great shortcut to get the results you want. But they won’t do you any good if you end up with a ton of penalties from Google. The recovery efforts alone are going to be a nightmare. So make sure you follow the tried and tested method: take it slow. Look over the packages carefully. The goal is to hire affordable SEO services that provide you with a package uniquely suited to the needs of your business. If the company only offers cookie-cutter packages, then it’s best to walk away and look through your other options until you find a better fit. An excellent SEO company should go to the trouble of understanding your business motivations, your competition, your site and objectives—among other things—in order to provide you with the kind of package that makes a difference in your results and bottom line. Ask about their tactics, says Mashable. If they’re using black hat techniques or quick fixes, that’s a sing that you need to look elsewhere for SEO assistance. However, if they provide you with white hat practices, as well as explain to you there are no easy or quick fixes, then that’s a good start to long and hopefully lasting conversation. However, this will only work if you can tell the difference between black hat and white hat techniques. So make sure you do your research. Know enough so you can tell if you’re dealing with a reliable SEO company or not. This can save you a whole lot of time and trouble in the future, especially if you find a great SEO company to work with you the first time around. When you start scouting around for an SEO company, you’ll want to keep the above factors in mind. With these tips, you’ll have a better chance of getting the help you need.